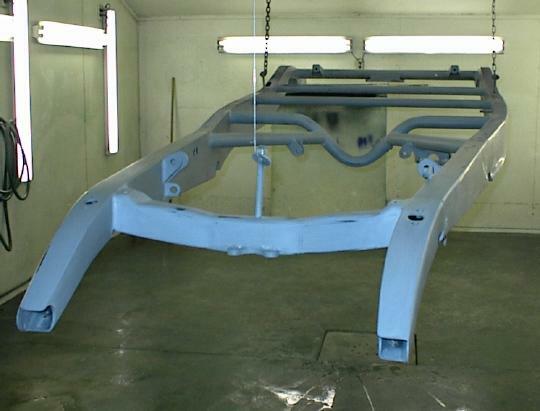 Here's a shot of the frame all wet sanded and ready for painting. Since so much of the frame shows on a fenderless '32, it has to be just as nice as the body. Click to view the entire gallery.